VISIT US WITH OUR BUS! Welcome to Bella Zoo Park! 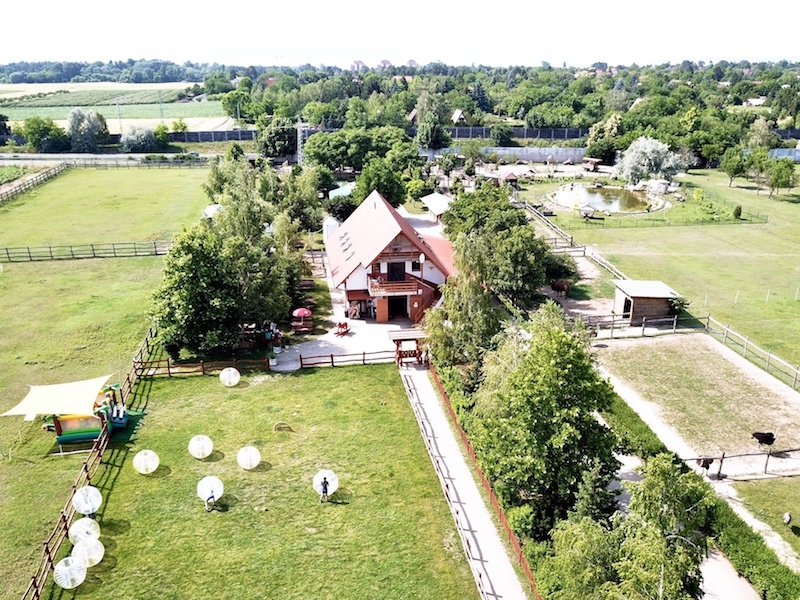 Our animal park is only 5 km from the centre of Siófok, we are waiting for our dear guests in a beautiful environment every day, so on weekends and feast-days. Taking a walk at our Zoo Park along with the colorful programs we offer, is a perfect pastime for any generation. The information on our website will help you to plan your trip at our place. 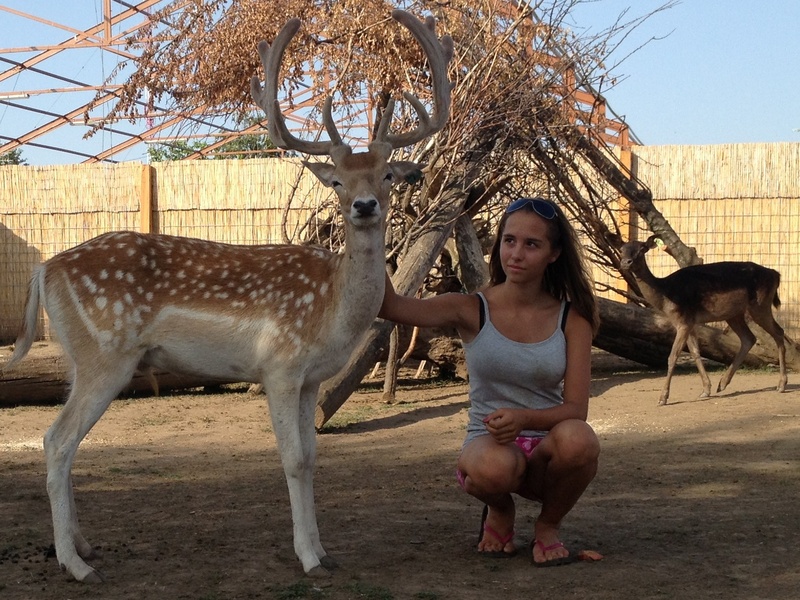 Our animal park is located next to M7 Motorway, it can be approached on the Szabadi way by car. Our zoo lays on a 30,000 squaremeter territory with parking places, paths, corrals, gardens and garden furniture. We provide our animals appropriate attention and care, and we keep them according to the rules. Our guests can find a club place on the first floor of our main building, as well as a big terrace with a spectacular view. 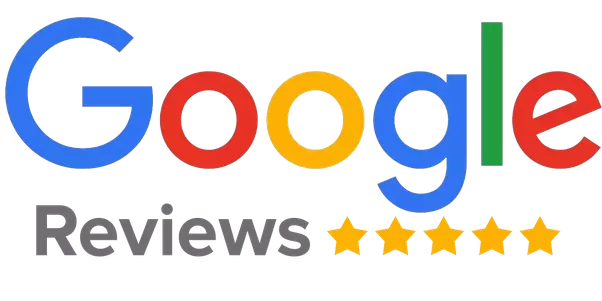 In the garden we can find wooden garden furniture, grill, pasture and petting zoo, where you can see: camels, lamas, alpaccas, horses, ponys, mini-ponys, donkeys, goats, sheeps, zebus, peacocks, parrots, emus, cats, rabbits and many more are waiting our dear guests. 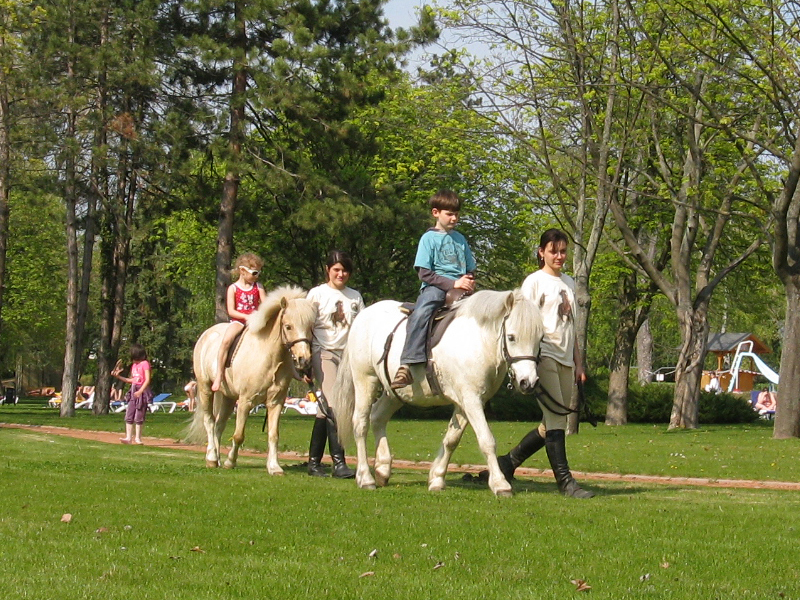 Horse, pony and camel riding is available for children with an attendant. 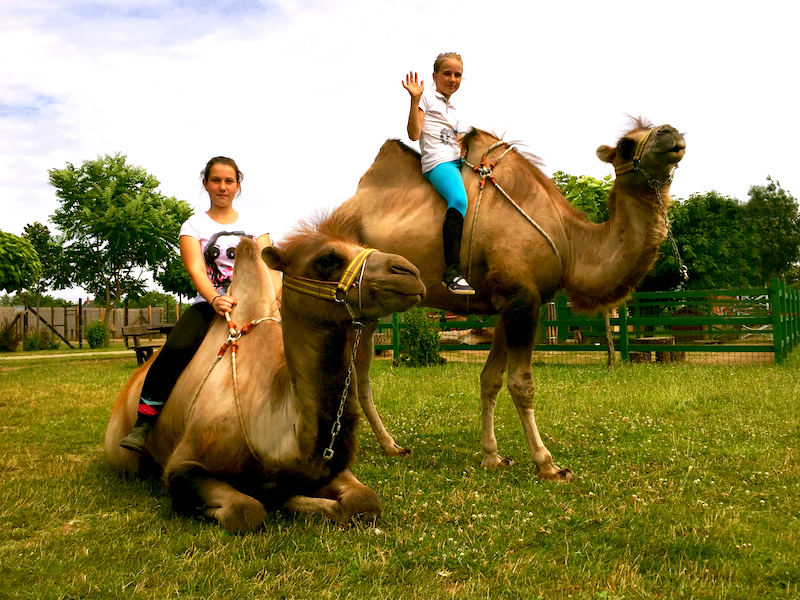 If you love nautre and animals, visit us and spend a nice time here! 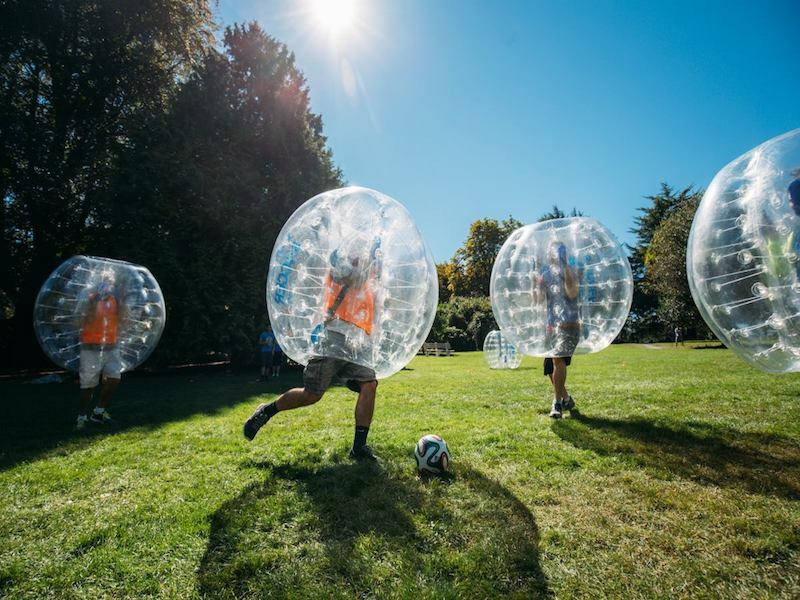 Our goal is to provide a great opportunity for animal- and nature lovers prominent spare time activities. We are open throughout the whole year!